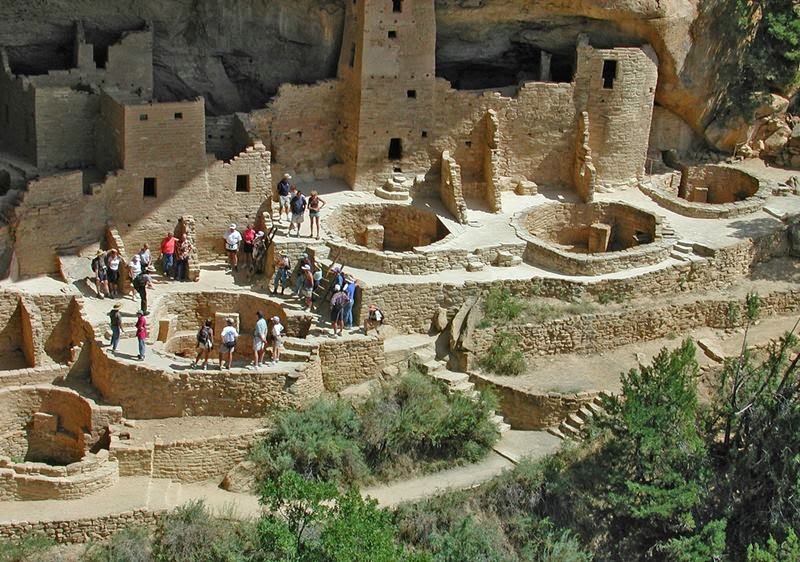 Mesa Verde National Park is a U.S. National Park and UNESCO World Heritage Site Located in the area known as the Four Corners, where Colorado, New Mexico, Arizona and Utah meet, Mesa Verde is the only national park in the U.S. devoted exclusively to archaeology. One glance at the intricately constructed multistorey homes in the rocky cliffs shows why. With close to 4,000 known archaeological sites, it’s the largest such preserve in the United States. 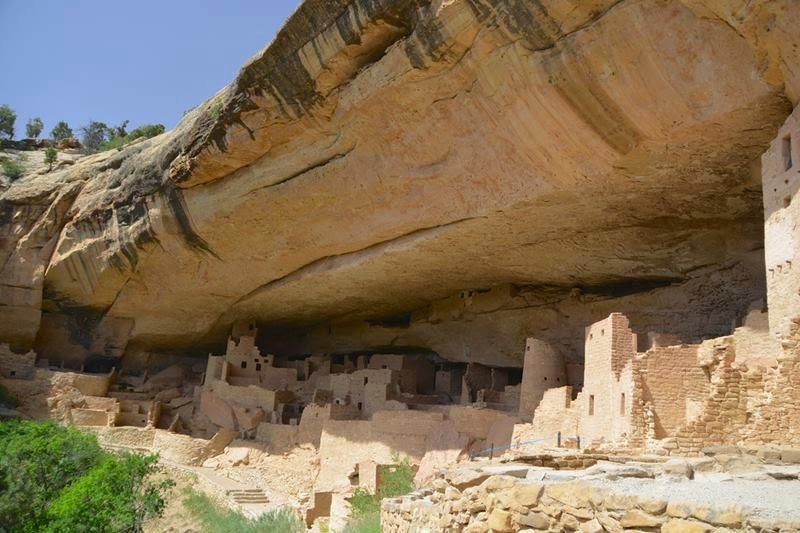 Mesa Verde is best known for cliff dwellings, which are structures built within caves and under outcroppings in cliffs — including Cliff Palace, thought to be the largest cliff dwelling in North America. 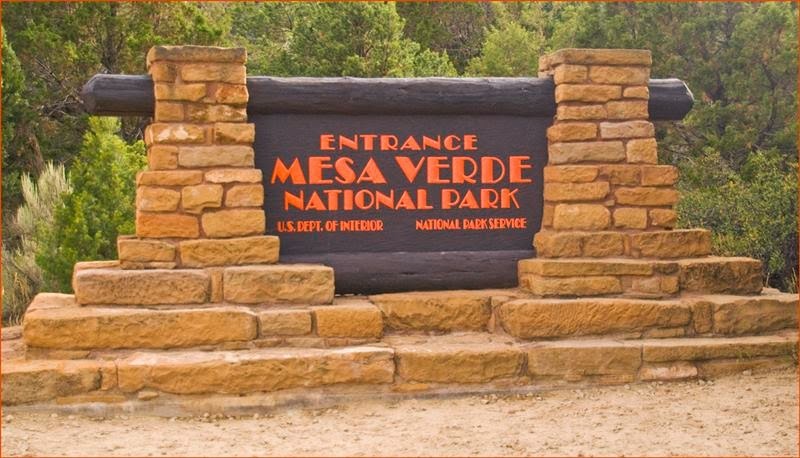 The Spanish term Mesa Verde translates into English as "green table". It is considered to contain some of the most notable and best preserved archaeological sites. 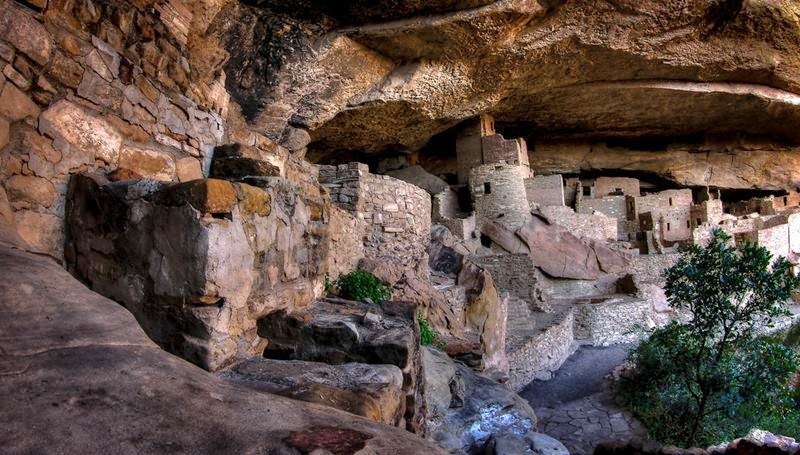 The members of the Ancestral Pueblo culture "formerly known by the name Navajo "Anasazi", which was developed in this place between 6th to the 12th century, created astounding masonry buildings in alcoves in the canyon walls. 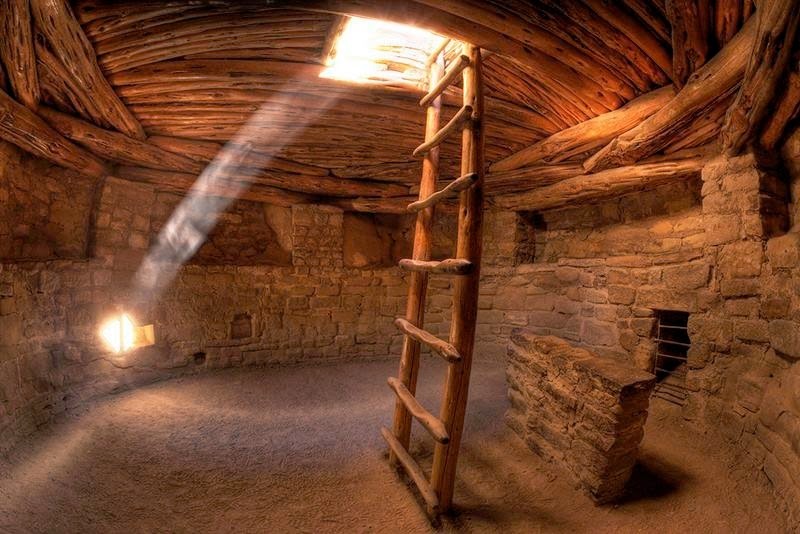 Storage rooms and kivas, circular underground chambers, accompanied the living quarters. Many of the alcoves face south, allowing them to capture precious sunlight in winter and avoid the summer glare. Residents grew corn, beans and squash, using dry-land farming techniques and left-behind pottery painted with delicate geometric designs. 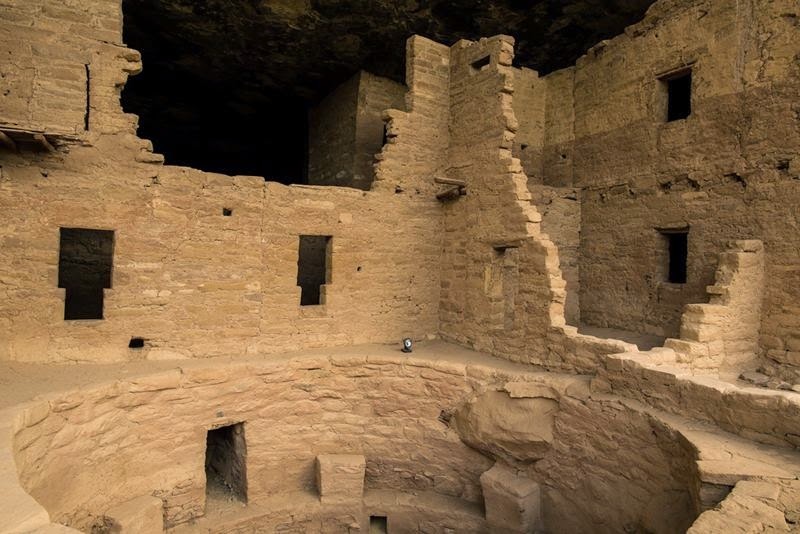 The exceptional archaeological sites of the Mesa Verde landscape provide eloquent testimony to the ancient cultural traditions of Native American tribes. They represent a graphic link between the past and present ways of life of the Puebloan Peoples of the American south-west. The area was declared a park in 1906 by President Theodore Roosevelt to protect some of the best-preserved cliff dwellings in the world, or as he said, "preserve the works of man". It is the only cultural National Park set aside by the National Park System. 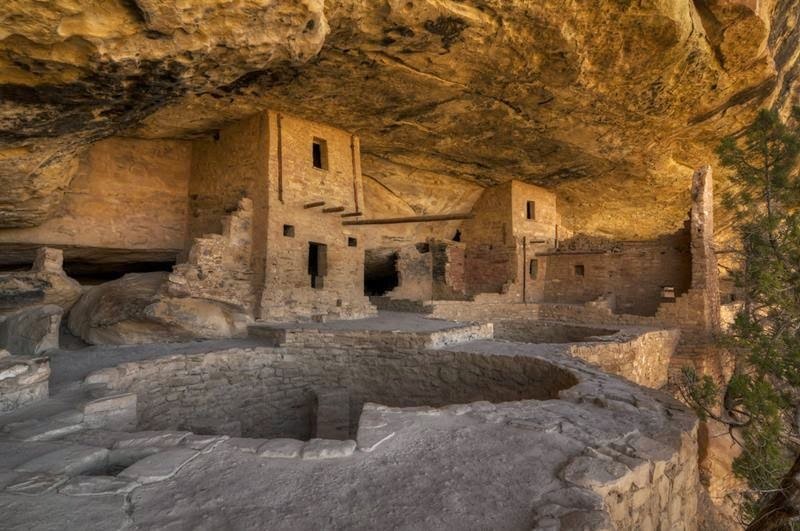 It occupies 81.4 square miles or 211 square kilometer near the Four Corners and features numerous ruins of homes and villages built by the Ancient Pueblo peoples, sometimes called the Anasazi. 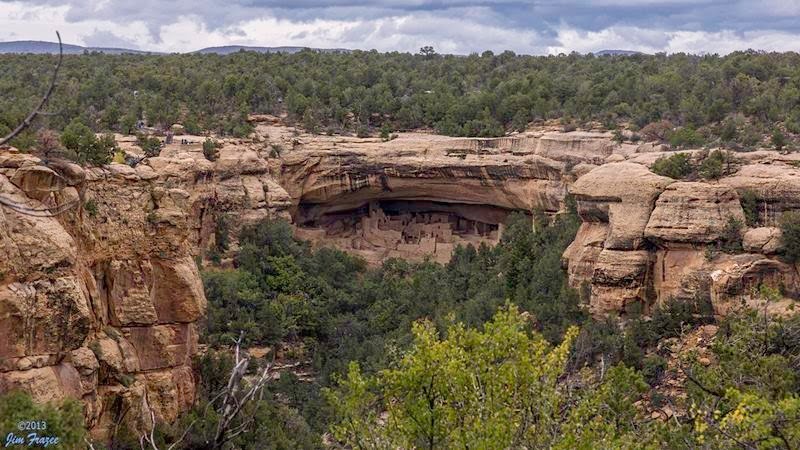 The six-mile Mesa Top Loop Road passes a number of interesting points and easily accessible, including pithouses (covered dwellings partially dug into the ground) and panoramic views. 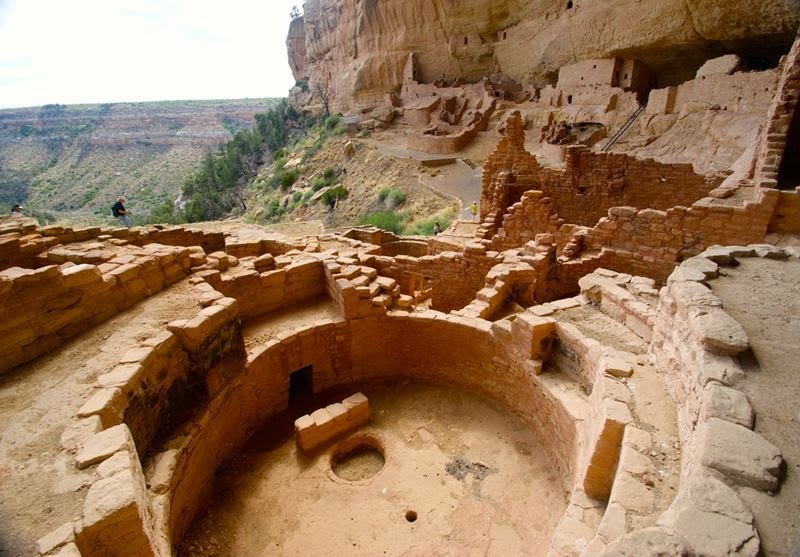 The Anasazi inhabited Mesa Verde between 600 to 1300, though there is evidence they left before the start of the 15th century. They were mainly subsistence farmers, growing crops on nearby mesas. Their primary crop was corn, the major part of their diet. Men were also hunters, which further increased their food supply. The women of the Anasazi are famous for their elegant basket weaving. Anasazi pottery is as famous as their baskets; their artifacts are highly prized. 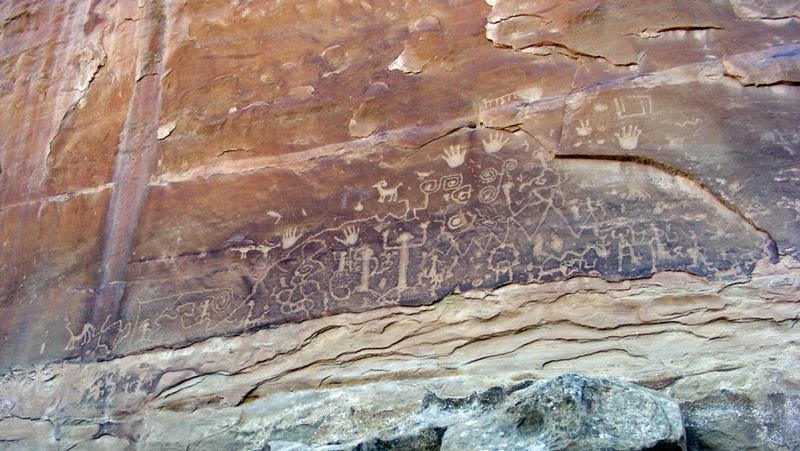 The Anasazi kept no written records. By the year 750 the people were building mesa-top villages made of adobe. 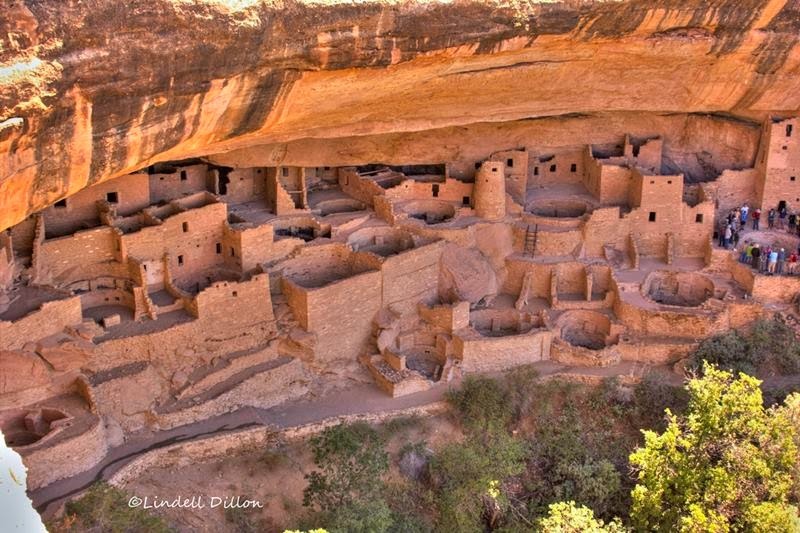 In the late 1190s they began to build the cliff dwellings for which Mesa Verde is famous.